The culture secretary has called on the creative industries to make the case for whether the sector requires special visas for migrants in a post-Brexit Britain. 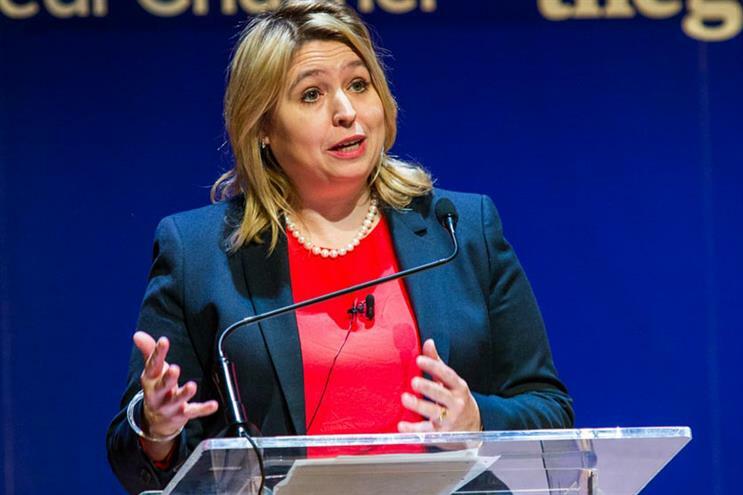 Karen Bradley sought to assure advertising leaders that the government wants to maintain a pipeline of "the very best talent" and to make sure the UK can recruit from elsewhere "when we need it". Speaking at the Advertising Association’s annual Lead conference, Bradley was asked by AA chief executive Stephen Wooford what the government thinks about giving special visas creative sector works from the EU. She said: "[The UK] must continue to attract the brightest and best but there must be control. Now the advertising industry is a sector that has experience of recruiting talent from across the world and what I want to hear from you is where there is good experience and where it’s not so good. Bradley added: "I would encourage you to feed in through the DMCS and other departments in government with those examples you cite of where it works and where it doesn’t. And that will help us in our negotiation to get the very best deal." In a speech peppered with famous advertising slogans, Bradley reiterated the creative sector’s importance, as highlighted by an industrial strategy green paper outlined by the prime minister Theresa May on Monday. Bradley, a former home office minister under May as home secretary, was promoted to culture secretary when May became prime minister last July. "This is not an old-fashioned ‘picking winners’ industrial strategy," Bradley said. "The government will work with any sector that can organise behind strong leadership. This leaves your industry in a very strong position – ‘Impossible is nothing’ – sector deals with government can be struck when an industry can demonstrate their prospects, address regulatory issues, helping to identify market barriers, and promoting the creation and spread of new technology." Following yesterday’s Supreme Court decision, the government is now drawing up a bill to trigger Article 50 of the Lisbon Treaty – the formal process for leaving the EU. The government is also considering whether gambling ads should be banned from being broadcast on TV before the 9pm watershed – a controversial move that would hit sports broadcasters such as Sky in particular. Bradley said she recognized the strength of feeling about the issue but said she "receives a lot of correspondence about this matter" and it would be "irresponsible" for the government not to explore those concerns.